Jim was born and raised in New York City where he retains strong family roots and long term friendships. He was graduated from Kenyon College in 1981 with a B.A. in History and began his professional career in Los Angeles working for a succession of large and small industrial real estate brokerages. After 15 years practicing real estate, Jim opened Klein Commercial Real Estate in 1997. KCRE maintains an office in downtown Gardena and has specialized in industrial property throughout the Greater Los Angeles region, specifically the South Bay. More recently, clients include major developers, international corporations, and private investors, in both sale and lease transactions. Jim also holds Brokerage licenses in California, New York, and New Jersey and is frequently involved transactions across the U.S. and Europe. 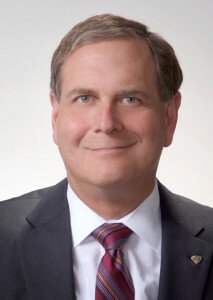 Jim has held leadership roles in both civic and business organizations including BRICA (Broadway/Rosecrans Industrial Commercial Association), LASVP (Los Angeles Social Venture Partners) and SIOR (Society of Industrial and Office Realtors), for which he was recently elected to the Board as Education Council Director. Currently Jim chairs the Industrial Committee, Program Co-Chair for the Summer 2018 Warsaw Conference, and is the primary liason with MIT Center of Real Estate. His hobbies include tennis, swimming and running, literature, travel, and tech. Jim occasionally writes about the industry. He lives in Santa Monica with his family. 7.5 Acre Land Sale for Borden Chemical, Carson, CA. 120,000 SF Building Sale on 8 Acres, Savannah, GA.
60,000 Square Foot Building, Paramount, CA – Leased twice.